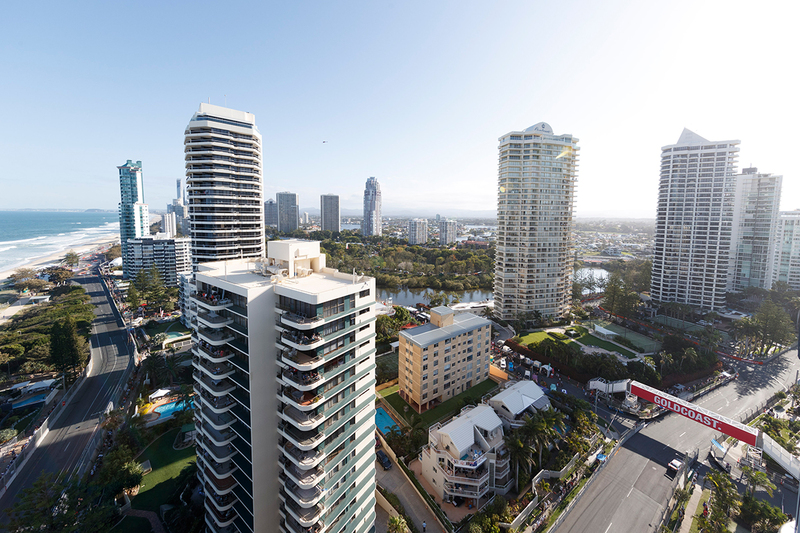 A Gold Coast storm brought a premature end to Supercars' PIRTEK Enduro Cup on Sunday, and leaves the championship delicately-poised heading to New Zealand. Just the single race produced a result, with Chaz Mostert and James Moffat claiming Tickford Racing's first victory since the corresponding hitout 12 months earlier. The Enduro Cup went to Craig Lowndes and Steven Richards despite their own somewhat-sketchy weekend, while there is change at the top of the outright order. 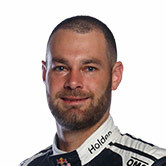 A troubled Saturday for the Red Bull Holden Racing Team turned Shane van Gisbergen's 19-point advantage over Scott McLaughlin to a 14-point deficit with two events left. 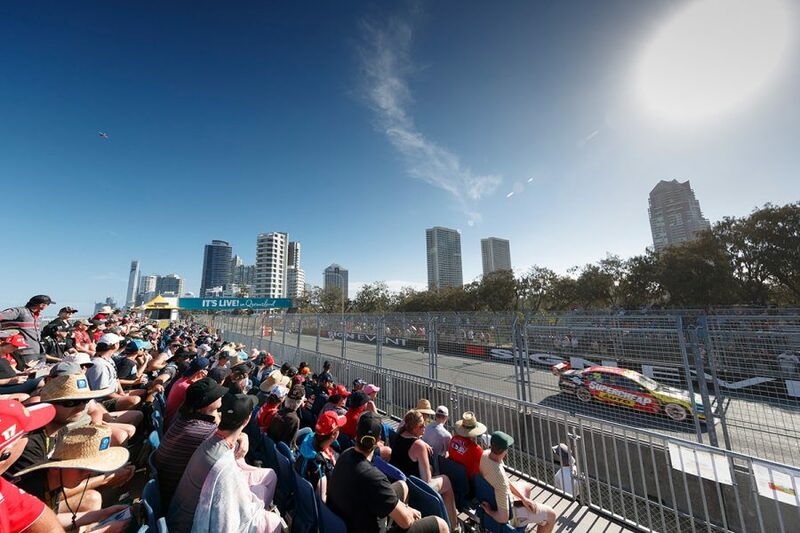 McLaughlin's Shell V-Power Racing gave him every opportunity to not just close the gap, while Paul Dumbrell's weekend unravelled after a bright start alongside Jamie Whincup. The enduro season may have ended with cars covered in pitlane and teams dodging apocalyptic rain, but there was still plenty to talk about. However you slice it, Tickford Racing's 2018 has fallen well short of even the most-conservative of expectations. 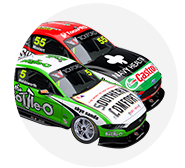 The Ford squad enjoyed a strong second half of 2017 and kept Chaz Mostert in title contention, but has barely fired a shot this year. It headed to the Gold Coast having recorded more false dawns than podiums (two of the latter) in its bid to get its Falcons working on the 2018 construction tyre. Little worked across its four cars, with Sandown the nadir. At a venue it had two cars on the podium 12 months earlier, it finished with one car on the lead lap, in a distant 10th. Bathurst offered promise, for Mostert and Moffat narrowly missing the podium in fourth anyway, but Mostert still started the weekend 'worried'. Any fears were ultimately eased, another set-up direction for the Supercheap Ford coming up trumps. And the team didn't even need rain. The pair dominated Saturday's race, largely set up by Moffat's double stint, and led again when the storm arrived 24 hours later. 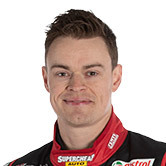 Beyond a first victory for Mostert and Tickford in 12 months, the team also had Mark Winterbottom/Dean Canto in seventh and Cameron Waters/David Russell, in eighth. 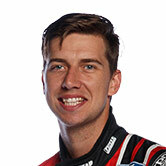 How Tickford fares at Pukekohe next weekend will be keenly observed. 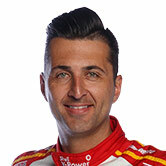 In a race any earlier than October, Fabian Coulthard and Tony D'Alberto would have been chief contenders for Saturday silverware. The pair, though, had to settle for 11th, having been sacrificed by Shell V-Power Racing to help McLaughlin's championship bid. 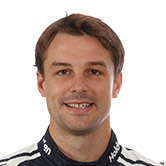 From fourth on the grid, D'Alberto ran second through the first stint after the early clash between leaders Dumbrell and Alex Premat dropped the latter to fifth. 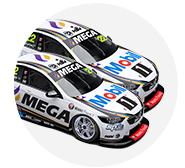 That had the #12 Ford ahead of #17 when they both pitted under the Safety Car on lap 24, and it emerged at the front of the pack due to Dumbrell's stall. However DJRTP had short-filled D'Alberto, to ensure Premat wouldn't have to double-stack and get buried in the pack. From there on, D'Alberto and Coulthard spent the afternoon saving fuel, unable to use their car pace, D'Alberto letting Moffat past for the lead. 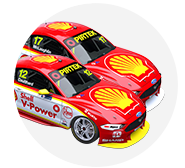 It was tough on Coulthard, D'Alberto and the #12 crew, who had prepared what looked the quicker Shell Ford for the afternoon. But given its near miss in the 2017 drivers' title with McLaughlin, it was the level of ruthlessness required from Ryan Story's operation. Especially as at the same time, in the adjacent pitbay, Triple Eight was having its own double-stack nightmare. A far cry from its pitlane neighbour expertly avoiding a double-stack, Red Bull HRT copped a net loss of 34 places. Safety Car pitstops came with the awkward situation of Whincup/Dumbrell leading van Gisbergen/Earl Bamber, in first and seventh. A double-stacked Bamber dutifully waited behind Dumbrell, who took on a routine level of fuel but then stalled, delaying both cars. He then ploughed into the door of the Moffat Falcon in the fast lane, with Bamber also released into the path of Garry Jacobson's Nissan. The #1 and #97 Commodores rejoined third and 11th on the road, but both were quickly and unsurprisingly handed drive-through penalties for unsafe releases. They fell to 21st and 22nd and well behind the pack, leaving van Gisbergen in particular with a massive recovery mission. 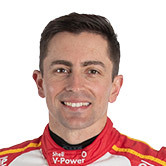 He limited the damage by getting back to 10th, losing the championship lead as McLaughlin finished fifth, while Whincup wound up 14th. There was worse to come for Dumbrell on Sunday, coming unstuck at the resurfaced Turn 12 as the rain started to fall. The Commodore was firmly wedged beneath the tyre barriers and also damaged by hits from a pair of Brad Jones Racing ZBs. 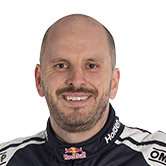 It brought his and Whincup's day and enduro campaign to an even earlier end, Dumbrell later hinting it could also be the final chapter in his Supercars career. 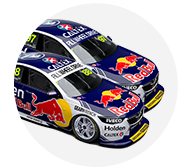 Whincup will now be in a spare car for Pukekohe, such was the extent of the damage. 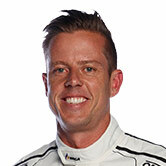 Lowndes and Richards grabbed two trophies in their last event sharing a Supercar, including the Enduro Cup itself. It was a fitting result, with third at Sandown followed by a popular Bathurst victory and second on the Gold Coast sealing it by 87 points over McLaughlin/Premat. 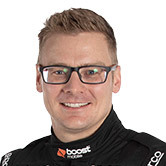 That run also made them just the second pair to win the Enduro Cup having been on the podium in each race, albeit three times rather than the usual four. But it wasn't just about smiling and accepting trophies on the Gold Coast. 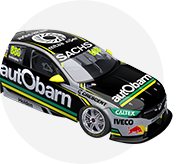 Lowndes and Richards had to come from 21st on the grid on Saturday, thanks to a penalty incurred for Lowndes blocking Richie Stanaway in ARMOR ALL Qualifying, having only managed 16th anyway. The early Safety Car, though, could scarcely have played into the hands of Autobarn Lowndes Racing any better. Lowndes started and made good inroads against the co-drivers, getting up to eighth before handing over to Richards, who then completed his laps against his peers rather than the full-timers. That left the veterans requiring only a 14th-place finish to seal the perpetual PIRTEK prize on Sunday, and Lowndes took a much better fourth on the grid. 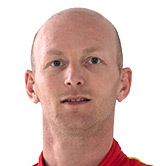 But from there, the pair were the subject of a pair of stewards investigations when the race was cancelled. Richards turned Warren Luff around at Turn 4, with the #888 Commodore also expected to become the weekend's third Triple Eight entry to get pinged for an unsafe release. Ultimately, that was all washed away, as Richards jokingly credited 'the luck of the Irish'. 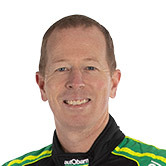 "Robbed" is how Jack Perkins classed his and James Courtney's run through the first two enduros with Mobil 1 Boost Mobile Racing. 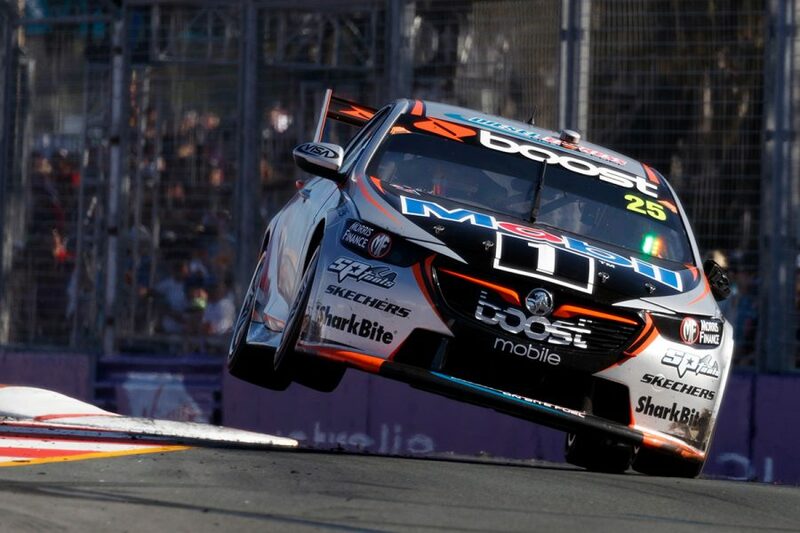 The Holden squad started 2018 strongly, then had a mid-season dip, before upgrades were introduced and overdue tests undertaken before the Enduro Cup. Its subsequent pace has been strong, but results have not necessarily reflected that. At Sandown, for instance, Courtney and Scott Pye were third and fifth in regular qualifying, but their cars started 26th and 19th after disastrous Races for the Grid. That included a crash for Courtney in his sprint race, the #25 finishing 16th, while Pye and Luff recovered to sixth. 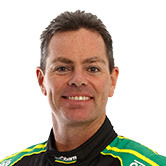 At Bathurst, Courtney and Perkins started eighth, which is where they were running on lap 34 when Perkins pulled over following an engine failure. Pye and Luff, meanwhile, again snatched a Great Race podium from the deep, starting 18th and finishing second. 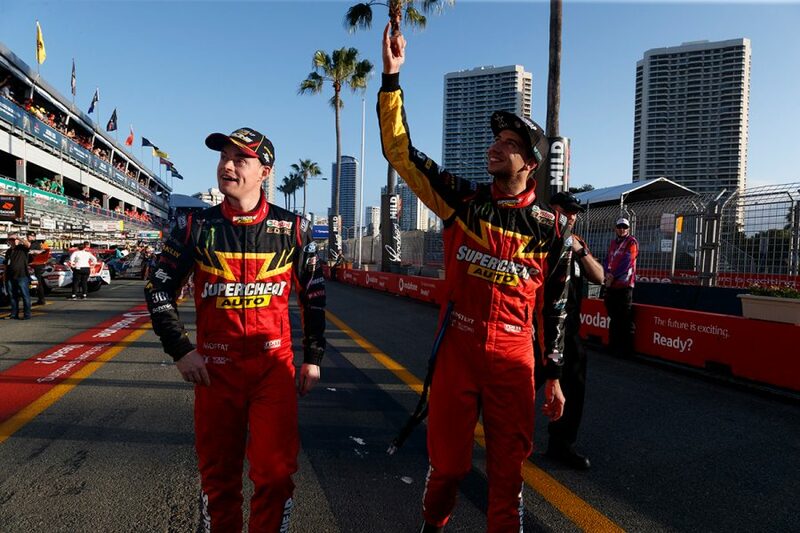 Courtney and Perkins finally got their chance to spray champagne on Saturday at the Gold Coast, in the 2010 champion's 400th Supercars start. 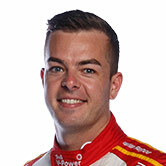 While Courtney couldn't keep Lowndes at bay in the final stint, he stayed ahead of Reynolds, in what was also a good reward for Perkins' form across the enduros. For all of the high points in 2018, Courtney is still only three places – 15th to 18th – ahead of where he was in the points this time last year. But if the new Walkinshaw Andretti United triumvirate can iron out a few of the kinks, self-inflicted or otherwise, things are looking up.